Maurice Ravel, a small and obsessively neat French composer, wrote some of the most intensely beautiful and perfectly-crafted "impressionist" music of the 20th century. He actually didn't write that many pieces altogether, since he composed slowly and deliberately. But what he did produce is astonishingly high quality. Some people even like to think that Ravel never wrote a bad piece - I like to agree with them!! His fantastically colorful orchestral works are some of my favorites, and never fail to stir up nostalgia and awe whenever I hear them. Maurice Ravel was born in 1875, in a little French fishing village on the Mediterranean. His mother was from the Basque country in Spain and his father was a Swiss inventor. Little Maurice Ravel was a talented pianist. He gave his first recital at age fourteen, and later studied piano at the Paris Conservatory. But he stayed in Paris, and joined a group of avant-garde artists who called themselves the "Hooligans". He was friends with the other famous French impressionist composer Claude Debussy. Ravel and Debussy got on well at first, visiting each other and performing each others' pieces. But over time they developed a complex rivalry. Audiences couldn't really tell their styles of music apart, which annoyed both of them. Each had their own little group of supporters, and there were disagreements about who influenced whom. Later in his life Ravel's reputation and popularity grew. He went all over Europe (and even to the United States) to perform premieres, and to generally travel around and see things. Some of his travels even inspired his music. Example: on a trip down the Rhine in 1905, he stopped at a massive iron foundry. He was overwhelmed by all the industrial noises, and then became drenched in a fierce thunderstorm. "How much music there is in all of this! ", he wrote to a friend after, "and I certainly intend to use it." He used this inspiration for scenes in an opera, which he never really finished. Ravel was a very private and distant man, who didn't really have that many eventful things happen to him. He lived in (or close to) Paris his whole life, and never married. "My only mistress is my music," he used to say. He dressed very elegantly (like a "dandy"). Once he delayed a concert over an hour because he didn't want to appear onstage without his proper dress shoes! He was also a physically very small, which he was highly aware of. He lived in a small-ish house, and surrounded himself with objects from childhood. It was almost as if, for him, his smallness were a connection with a lost childhood. When the First World War started, Maurice Ravel was eager to join the air force and defend his beloved France. But because of his small size and frail health he got stuck driving ambulances. He had to stop after two years, again because of his health. Ravel's music changed after the War, in my opinion because of the two influences of the horrors of the war and the new jazz music coming from America. Ravel's pieces from this period have a new freeness, but also a somber quality. Maurice Ravel eventually got sicker and sicker in his later life. In 1937 he had brain surgery to fix an injury he got in a traffic accident - he died about a week later. Maurice Ravel has a very unique style of music! It's kind of "impressionist", since it has a floaty and vague feeling to it most of the time. I'd say the most obvious aspects are intense beauty and refined elegance. Maurice Ravel had a huge range of influences. He liked the traditional 18th century French composers, but also started to add some bits of jazz in his later pieces. 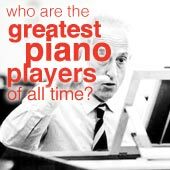 He was also inspired by the virtuosic piano pieces of Liszt and Frederic Chopin, and by modernist music from composers that were his contemporaries. Ravel was also a master orchestrator. His orchestral works have lavish and complex instrumentations, full of bursting, dazzling colors and vivid images. He carefully studied each individual instrument to learn everything about how it was played and everything it could do. in essence, Maurice Ravel was the supreme perfectionist. He would carefully polish his pieces until the ink came off the page (figuratively speaking...), sometimes taking years to let a piece develop in his head before he even wrote anything down! Because of the unique textures and sounds in his music, I recommend something like active loudspeakers to recreate the infinitesimally fine sound of a live performance. Pavane for a Dead Princess. This wistful and expressive slow dance for piano was all the rage in the salons and drawing rooms of 1900s Paris. It's remained one of Ravel's most popular pieces. String Quartet in F Major. Ravel's only string quartet. I love the first movement - it's a fast and memorable tune played with plucked strings. Miroirs (Reflections). A suite for solo piano. These are lovely little pieces, which are each dedicated to a member of the artistic group the "Hooligans" which Ravel was a part of. Each movement is meant to illustrate the images and moods which are reflected when its dedicatee looks in the mirror. Gaspard de la Nuit (Demons of the Night). A virtuoso piano work in three movements, each inspired by a poem. It has a demonic and frightening nature, which is enhanced by the superhuman piano technique players have to have. Ma Mere L'Oye (Mother Goose Suite). Ravel originally wrote this small suite of delicate fairtytale pieces for two pianists on the same piano, for the two daughters of some friends. He later adapted it into a charming orchestral suite with some of his most imaginative orchestration. Daphnis et Chloe. An hour-long ballet, written for a gigantic orchestra, with a wordless chorus thrown in as well! This is Ravel's masterpiece, with some of the composer's most sublime and passionate music. Ravel cut it up into two suites which are very popular concert pieces. Le tombeau de Couperin (Couperin's grave). This is a set of dances modeled on French baroque dance suites. Maurice Ravel also added dedications for each piece to soldiers he knew who were killed in the First World War - and the poignancy is powerful. The orchestral versions of the pieces are some of my favorite music of all time. La Valse (The Waltz). A huge, sumptuous "choreographic poem" (as Ravel liked to call it). This was originally called "Vienna", and it morphed into a homage to waltzes in general. Bolero. This is probably Ravel's most well-known piece. It's a fifteen minute long exercise in orchestration. The same melody is passed around pretty much every instrument and instrument combination in the orchestra. Ravel didn't like the piece (he thought there was no music in it), and was surprised and a bit annoyed at how popular it became! I like it, but I think its popularity overshadows much better Ravel pieces. Piano Concerto for the left hand. A concerto written just for the left hand! Paul Wittgenstein, a pianist who lost his right arm in WW1, asked Ravel to write it for him. At first Wittgenstein thought the piece wasn't virtuosic enough, but later on he grew to love it. It's a very lively piece, with loads of rich and jazz-like harmonies. 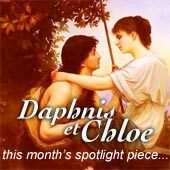 Daphnis et Chloe, Ravel's masterpiece pastoral ballet, his longest and most lavish work. Le Tombeau de Couperin, a touching musical memorial to those of Ravel's friends who perished in WW1. 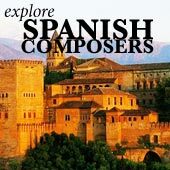 The Ravel Bolero - by far the composer's most well-known piece, a catchy orchestral exercise. 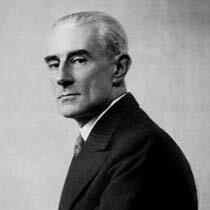 Pavane for a Dead Princess, an early slow ceremonial dance for piano which kick-started Ravel's popularity. Ravel's Mother Goose Suite, a colorful collection of childhood stories beautifully illustrated in fantastic orchestral colors. Gaspard de la Nuit, a demonically complex and difficult piano 'sonata', which pushes the boundaries of pianism. Ravel quotes and a documentary.